Molded rubber lining provides a soft, comfortable seal. Perimeter ventilation allows air to flow around lens preventing fogging along with anti-fog lens coating. Clip attachment allowing for easy lens replacement. 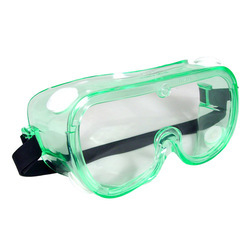 Need a prescription safety goggle? RX Insert available! Polycarbonate protective lens meets ANSI Z87.1+ standards.